Often children can find it difficult to go to sleep. It's much more fun to play with friends and family. Their busy minds find it difficult to unwind, and sleep can become problematic. The story has been crafted to include specific sleep time suggestions. The narration and pace of the story are designed to slow your child's rhythm down and bring them to gentle restful sleep. The audiobook run time is around 30 minutes, and it will become a part of your child's bedtime routine. My daughter really likes these three fairy books. They are simple, easy to follow and she really likes the pattern and the poems. The run time is just under 30 minutes, and in my experience they are asleep well before they have finished listening to these books. A magical read for bedtime for girls. These books are well written and the children really like the poems. 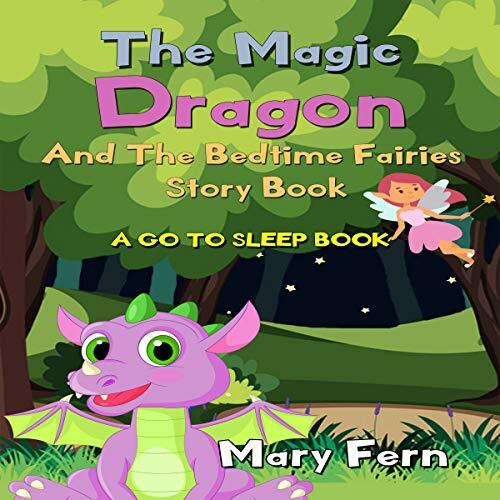 Harmless and fun story about fairies that girls love, each fairy has a different thing they do in the woodland and when they are finished they are taken home by the magic dragon. These audio books are ideal for children to listen to at bedtime when you don’t really have time to read a bedtime story to them. This is easy to listen to and the narrator does a good job of producing a story that is clear and easy for young children to listen to. There are a series of three fairy books all involving the fairies and their little jobs that they do in the forest. Each book ends with the fairies making their way home to bed. Charming book well narrated about the woodland fairies and their journey home with the magic dragon. The fairies on the woodland all have different jobs to do and after they have finished the Magic Dragon takes each one home to bed. Fun book for younger kids, more aimed at girls as the main characters are all fairies.